According to the report, 67% of marketing leaders are already using at least one marketing automation platform and a further 21% planned to start using one in 2019. The main advantage of this platform is that it automates and simplifies many manual and laborious tasks marketers do. What is also important, with marketing automation software it becomes easier to boost sales and become more profitable. However, the list of marketing automation systems grows every year, making it tedious to choose the right one. 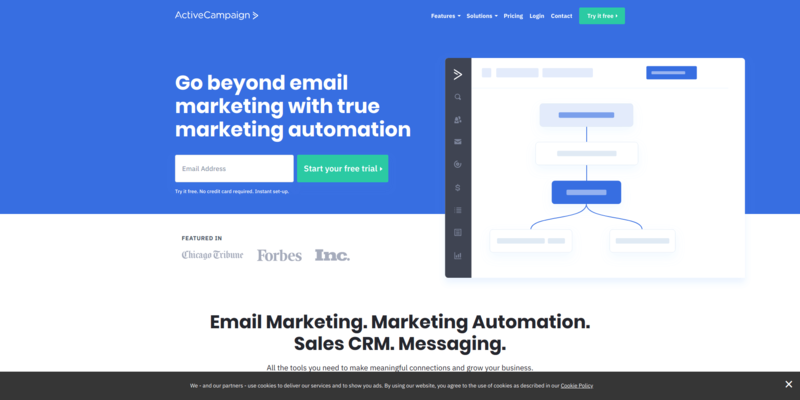 In this article, we’re going to take a look at some of the top marketing automation platforms to consider for your eCommerce business. This marketing platform allows eCommerce businesses to put their entire marketing on auto-pilot. It makes it easy to optimize and personalize emails, segment audiences, target customers based on behaviour. 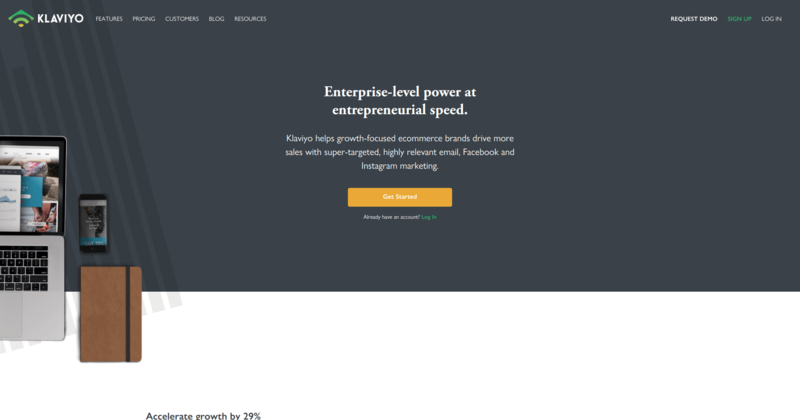 Klaviyo integrates with such popular eCommerce platforms as Shopify, Magento, BigCommerce, 3dcart, WooCommerce and many other. What’s more, it has an open API for users to add custom eCommerce integrations. Pricing depends on the number of contacts you are storing. The platform provides a free plan up to 250 contacts, but when the number of contacts increases, the costs rise ($25/month for up to 500 contacts, and so forth). Hubspot is one of the popular marketing automation platforms and a major eCommerce player. The platform allows to use an inbound marketing approach to attract visitors, convert leads, and close customers. Moreover, it provides a possibility to track website performance, promote and optimize content, and more. Hubspot integrates with multiple platforms including Shopify, WooCommerce, Magento, BigCommerce, and other. The platform offers four pricing plans for different demands, starting from $50 per month for a starter plan and a free plan with limited functions. Comparing with Hubspot, this marketing platform is mainly used by small businesses. It helps to automate routine tasks, create and execute a sales and marketing strategy, collate all daily activities in one place, capture new leads and many other activities. 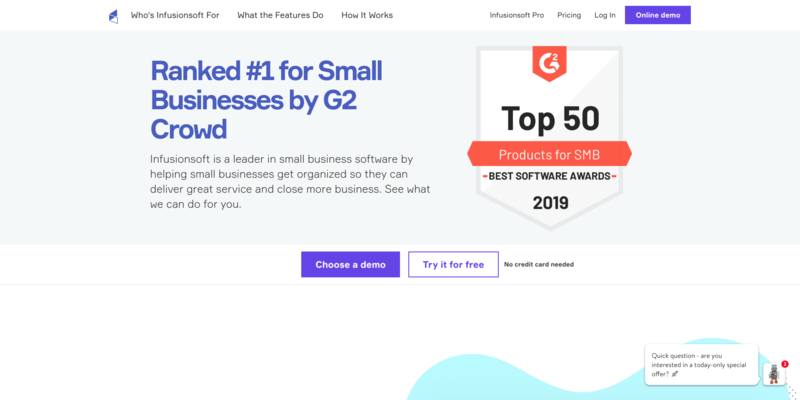 The key advantage of this tool is its integrations with all types of third-party programs including such platforms as Shopify, BigCommerce, Magento, WooCommerce and more. The pricing starts at $99/month for businesses looking to better manage clients and streamline work. For those businesses with advanced sales & marketing needs Infusionsoft provides the price which starts at $199. Primarily it was an email marketing platform, but over the years it has added marketing automation and CRM features. With ActiveCampaign it’s easy to build marketing automation campaigns with no prior experience or training. The main focus of this platform is on email campaigns and audience building. The platform integrates with more than 150 apps and service including such eCommerce platforms as Shopify, WooCommerce, BigCommerce, etc. The pricing depends on the contacts you have, with the starting price of $9 per 500 contacts. This data marketing platform is specialized mainly in emails. It allows business owners to create highly targeted emails, sync audiences or automatically trigger experiences across marketing channels. 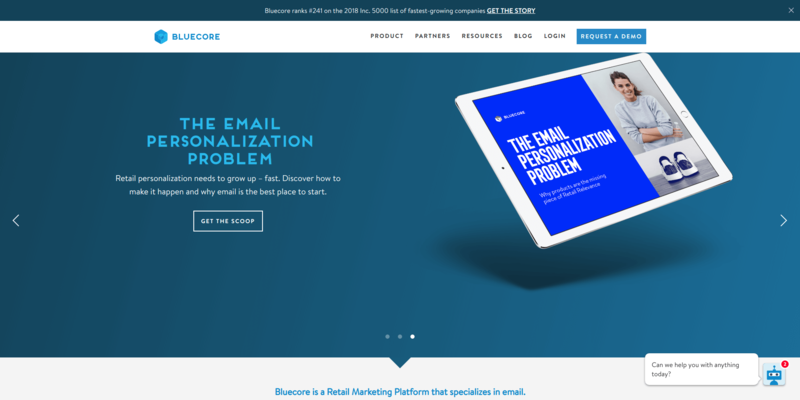 Bluecore makes it easy to collect data from different sources. The platform integrates with such eCommerce platforms as Shopify, Magento, and many other. The pricing is not provided on the website, however you can contact them to get a quote. 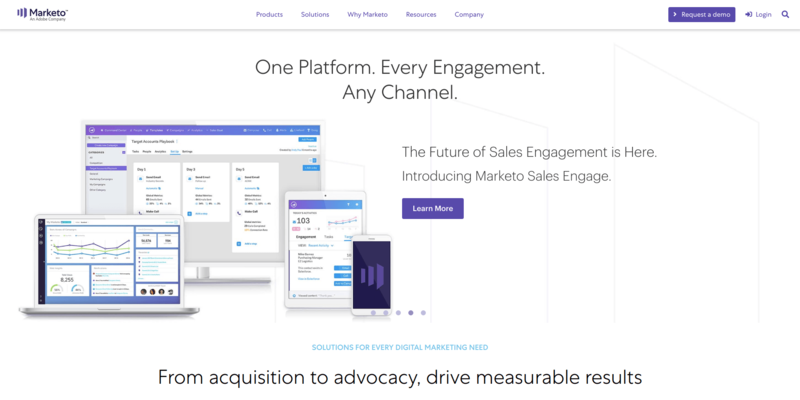 Marketo is a popular marketing automation system that simplifies and streamlines marketing tasks and boosts efficiencies. 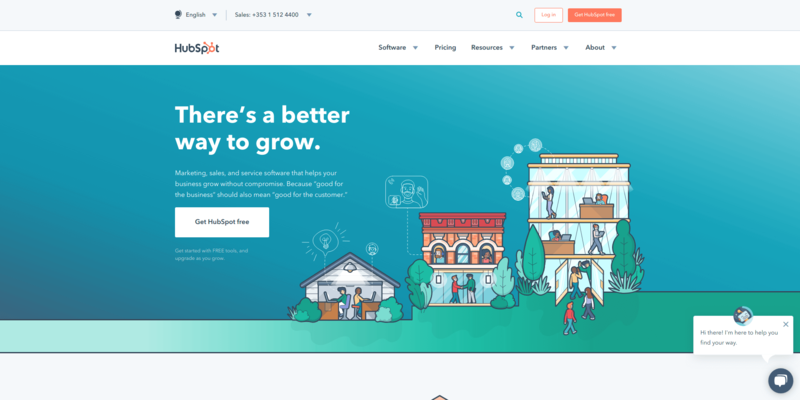 The platform helps B2B and B2C marketers to target qualified leads, generate more win-ready leads, create landing pages and emails with a drag and drop interface, and more. The system integrates with Google, Facebook, Linkedin, Google Adwords and such eCommerce platforms as Shopify, Magento, WooCommerce, etc. Marketo does not provide any pricing information. According to Marketing Automation Insider, the price in Marketo starts at $895 per 2500 contacts. 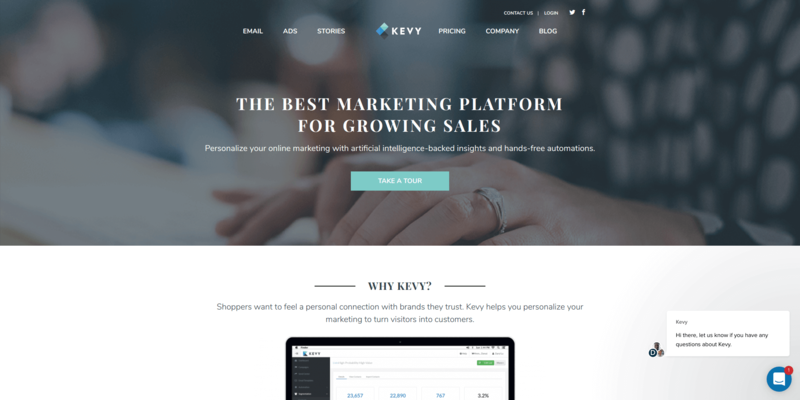 Kevy is a marketing automation platform build uniquely for eCommerce. It is designed to help customers increase revenue through cart recovery campaign capabilities, advanced segmentation capabilities, email design editor, and reporting. The platform integrates with such eCommerce leading platforms as Shopify, BigCommerce, Magento, WooCommerce and Volusion. Kevy pricing is based on contacts you have, the starting price for up to 8000 contacts is $250. The more contacts, the higher price you will pay. 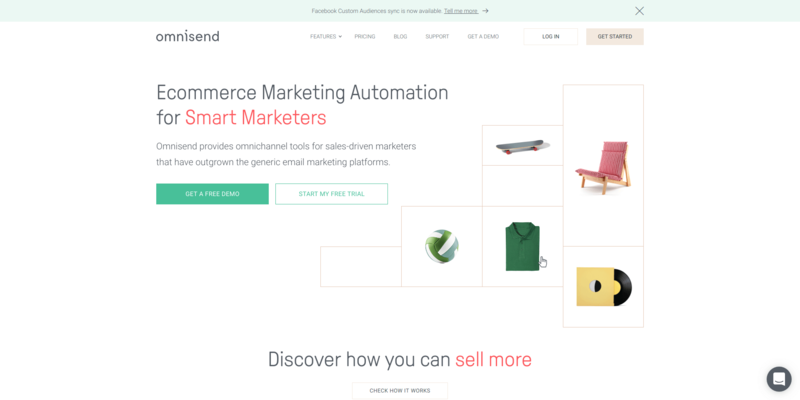 One more marketing automation platform that is worth considering is Omnisend. It is focused mainly on automation and segmentation. With these features, it’s easy to send customers automated and personalised emails based on a large number of triggers. Omnisend is available for such eCommerce leading platforms as Shopify, WooCommerce, Opencart, Prestashop, BigCommerce and Magento. You can easily count the price based on the number of subscribers you have using their calculator. There is also a free plan that allows to send 15000 emails per month, with a limit to send 2000 per day. Hope this article has been helpful for you. What are some of your favorite marketing automation tools? Leave a comment below and let us know. In case you are marketing automation software provider which deals with eCommerce, then you have to integrate with different shopping platforms. However, getting connected with a platform is always time-wasting and expensive. There is a better alternative: use unified shopping cart API, provided by API2Cart. It enables to integrate with more than 35+ shopping carts and marketplaces such as Magento, Shopify, WooCommerce and others. There is no need to make separate connections, just integrate with one API.